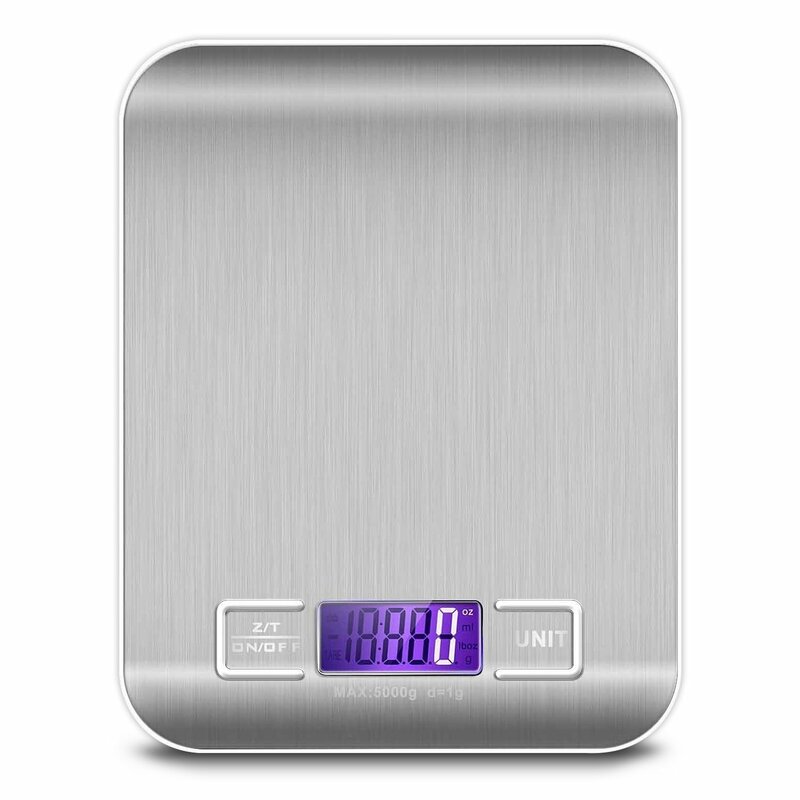 When trying to lose weight, portion size is important. The Alisten Digital Kitchen Scale helps me to more accurately track my portion sizes. This food scale is easy to use and can measure either in pounds or in grams, whichever you prefer. 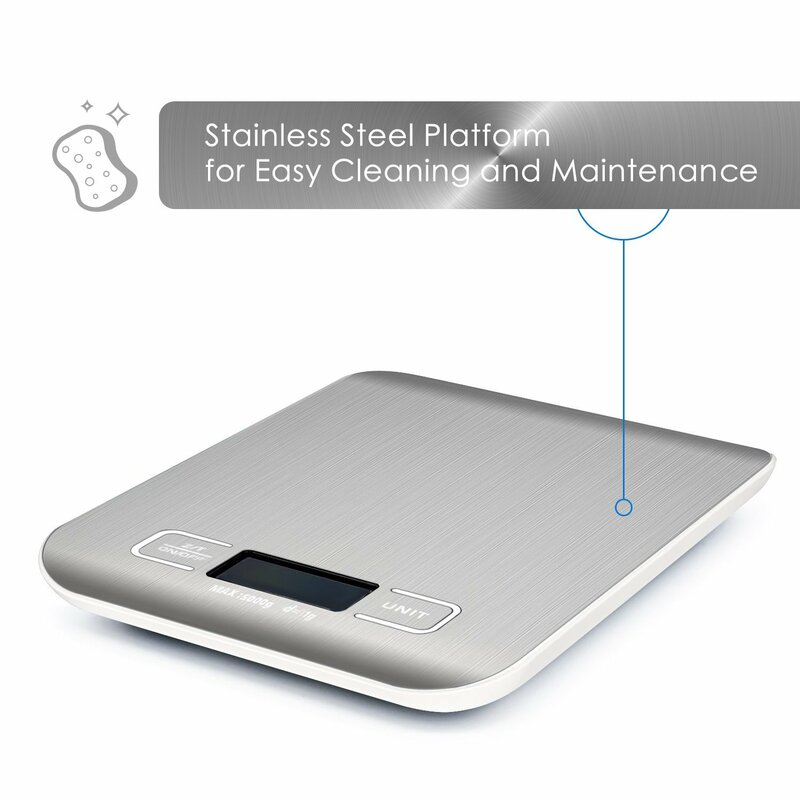 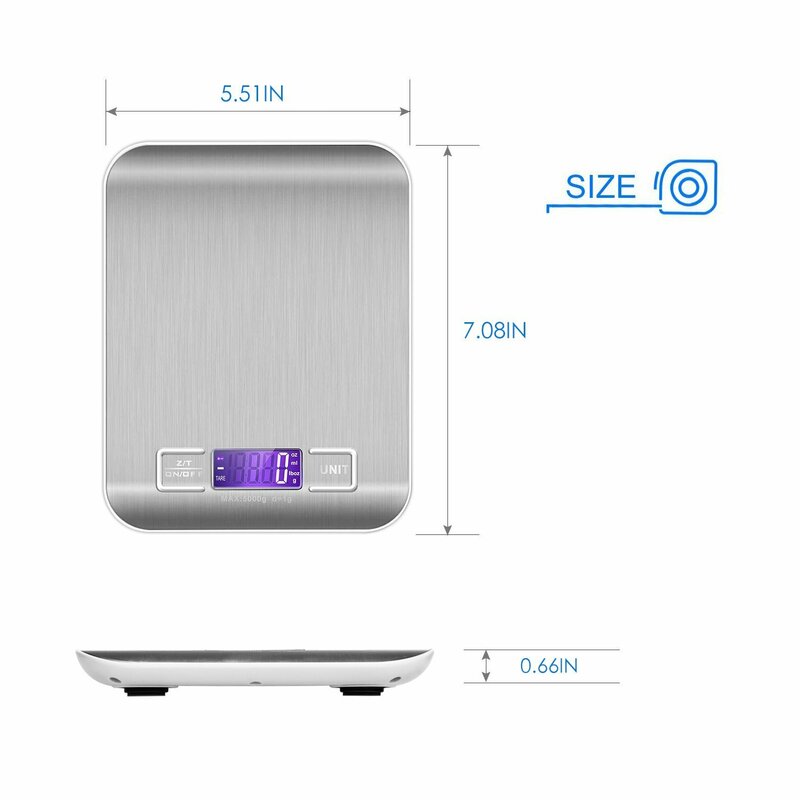 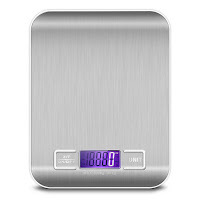 This multi-functional scale is a silver, stainless steel which looks great with any decor. 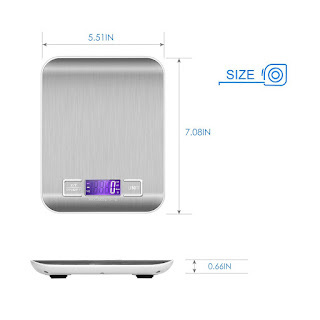 It is easily portable and takes up only a small area, while performing all of my kitchen weighing tasks. 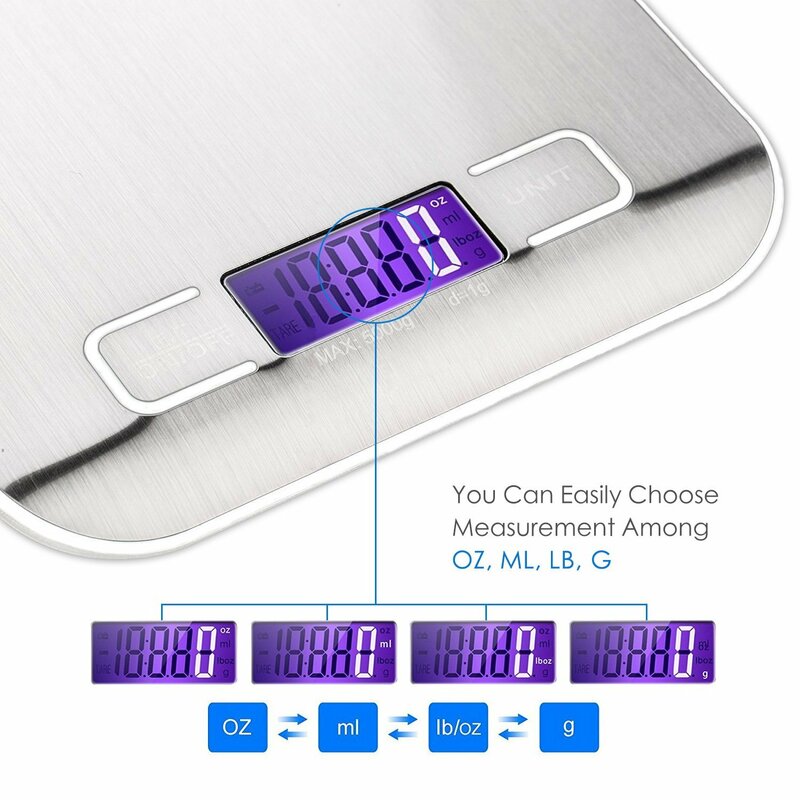 The LCD display is easy to read, and the measurements appear to be accurate when comparing them to another scale that I have been using. 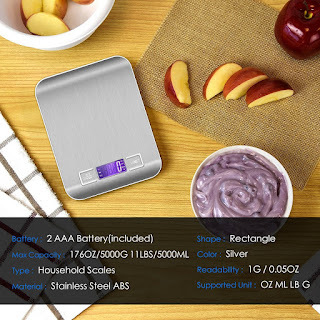 It even comes with a set of batteries so you can use it right out of the box.